A lot of people believe that healthy food tastes icky. These super fruits beg to differ. Delicious and juicy, these eight fruits are also hydrating and energy-producing, making them great afternoon snacks for the perpetually-hungry. This pinkish-purplish all-rounder manages to be juicy, crunchy, AND packed with minerals! Consisting 93% water content, the jambu is carb-free and fat-free. At the same time, a serving of this wonder fruit contains vitamins A and C, as well as calcium, iron, magnesium, phosphorus, potassium, zinc, manganese and dietary fibre. Shopping tip: Choose the ones with full-coloured and shiny skin for the best flavour. Avoid wrinkly and scratched skin as they aren’t fresh and won’t be as juicy. These pretty pink things may look slightly like lost aliens, but they’re sweet, creamy and pulpy, and smells delightful. 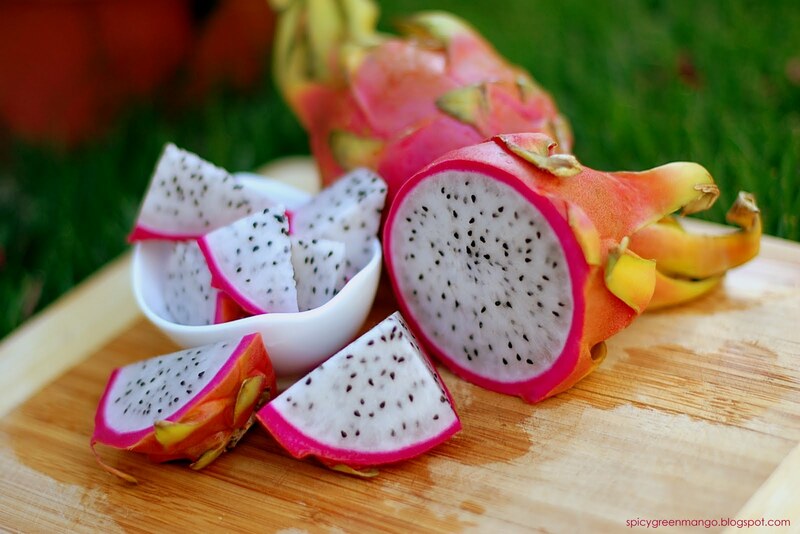 Dragon fruit contain very little fat and protein, and provides other nutrients like vitamin C, phosphorus, calcium, fibre, and antioxidants. Not overly sweet, this super fruit is also low-cal! (Plus you can eat the seeds, so no pesky de-seeding chores). Shopping tip: Look for bright, even-coloured skin. It should be firm when pressed and give a ripe kiwi-like smell. Stay away from soft, mushy ones, those are over ripe. 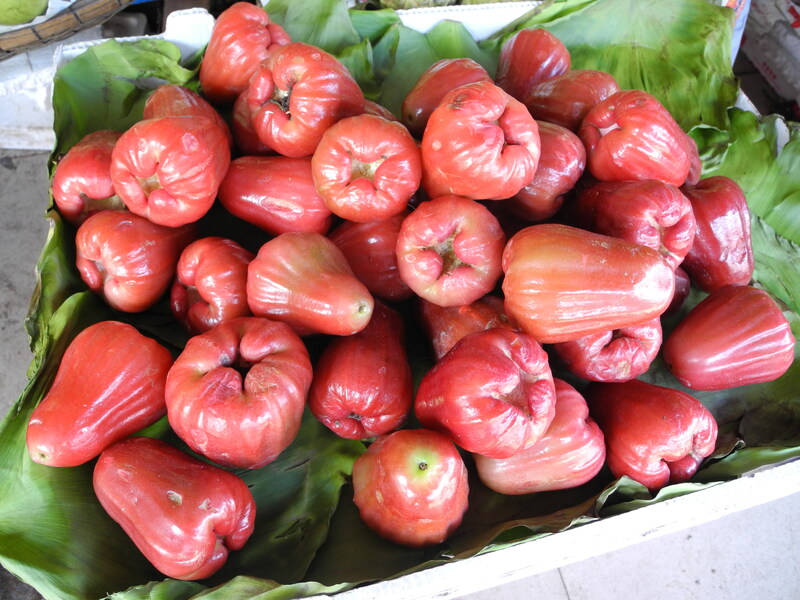 Popularly available in bright yellow, these fruits can also be found in red and purple, and when unripe, green! While bananas bruise easily, their sweet tender flesh is oh-so-filling when you need a quick yummy breakfast. Bananas are a good source of potassium and hence are highly recommended by doctors for patients with low potassium levels. One big banana (about 8-9 inches in length) packs 580-600mg of potassium and gives you 120-140 calories. It also has 2g of protein, 4g of fibre, and an abundance of vitamins and minerals. Potassium and fibre in the bananas help to protect your heart from heart diseases. Besides that, the banana’s antacid effects help shield you from stomach ulcers. 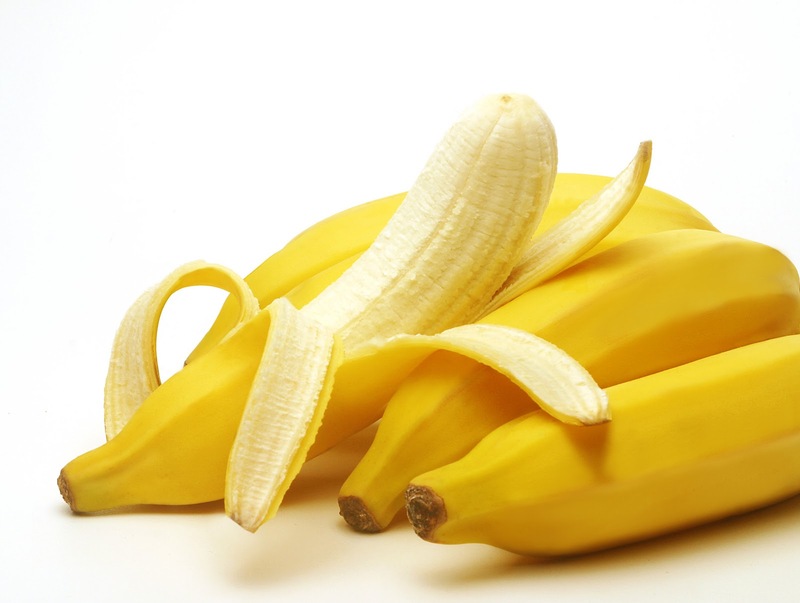 If you’re having trouble pooping, banana’s soluble fibre helps ease the way. Bananas are rich in fructoologosaccharide (a prebiotic), which nourishes the probiotic in the colon to lower your risk of colon cancer. Shopping tip: Pick bananas according to when you plan to use them. If you get green ones, they’ll ripen over time. If you want to consume them immediately, get the ripe yellow ones. Avoid bruised bananas (those with brown spots) as they will only get worse when you store them at home. 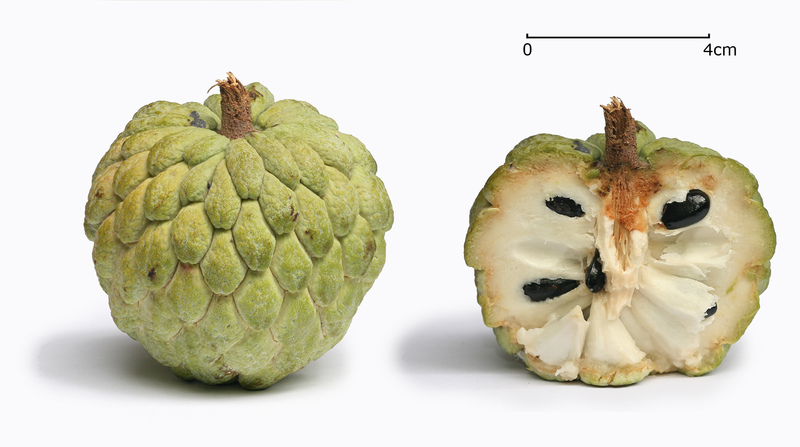 The cousin of the soursop, the custard apple is also called nona, sitaphal, or bullock’s heart. Break open the green bulbous skin and you’ll bite into a delectably soft, sweet and milky flesh. Creamy white in colour and starchy, custard apple flesh is a good source of energy and vitamin C. It is also fat-free and sodium-free. All parts of the plant have great medicinal values. For example, an alcohol extracted from the custard apples (known as anocorin) is used in various pharmaceutical preparations for its insecticidal properties. Shopping tip: Custard apples are extremely fragile and spoil easily when they’re fully ripe. Try getting unripe fruit at the pasar malam and allow it to ripen at room temperature. After ripening, custard apples can be refrigerated for one or two days. Stay away from custard apples with bruises and black spots. Fondly known to Malaysians as nangka, this majestic fruit is believed to be the largest tree-borne fruit in the world. 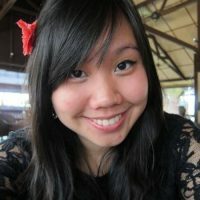 It reaches almost 35kg in weight (like a chubby toddler!) and measures up to 90cm! 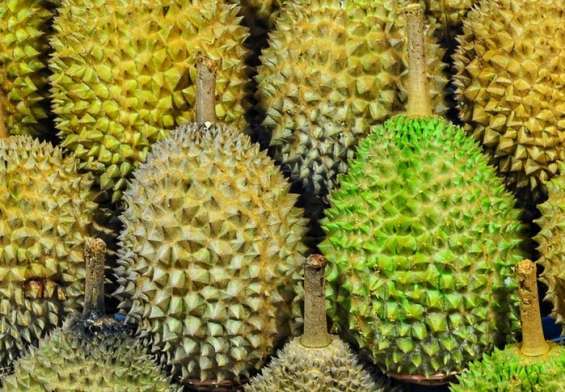 You can always sniff out the nearest nangka stall by identifying its distinctly strong odour, but the fruit is also a great source of dietary fibre containing carbs with no simple sugar content. Jackfruit delivers a vitamin C, A, and manganese, and is also packed with calcium, magnesium and potassium. The phytonutrients found in jackfruit can help your body fight disease-causing free radicals and help prevent hypertension. 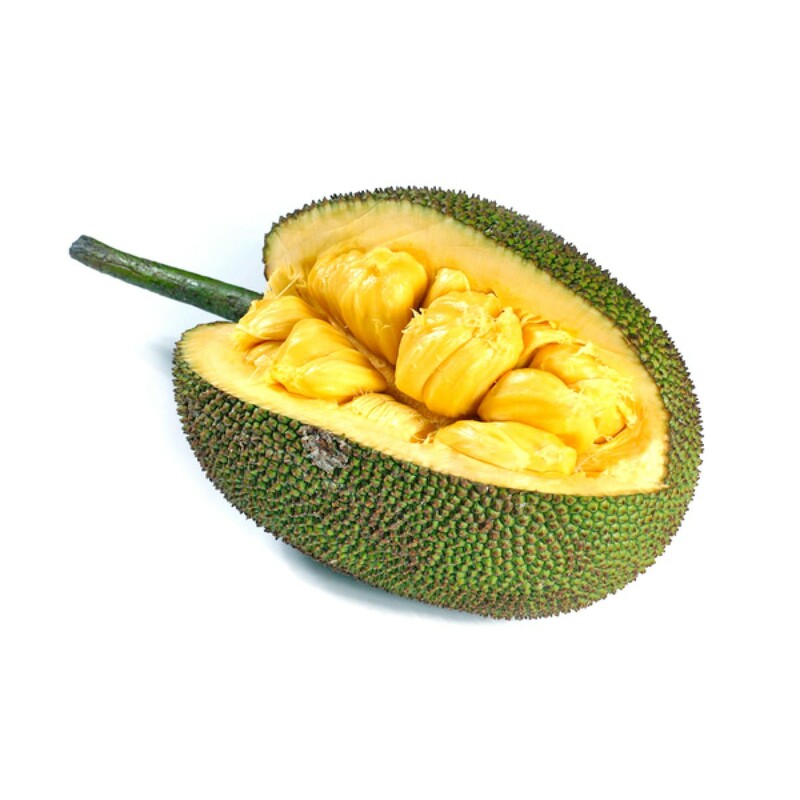 Did you know you could also eat the jackfruit seeds after you dunk them in boiling water? They are a rich source of complex carbs, dietary fibre, vitamins A, C, and certain B vitamins, as well as calcium, zinc, and phosphorus. Boiled jackfruit seeds are surprisingly tasty (they taste a bit like lotus roots) and can substitute potatoes at the dinner table. Shopping tip: As the jackfruit is rather large, most markets sell them sliced. If you intend to buy the whole fruit, go for the sweeter-smelling jackfruit with no obvious bruises or splits. A tropical fruit that comes in as many as 1,000 different varieties, the mango is perhaps one of the most popular fruits in the universe (ok, maybe we’ve exaggerated a little). Its uniquely sweet flavour and fragrance puts it right up there amongst the kings of fruits, but it is also rich in health-promoting properties. Carotenoids, fibre, and vitamins A, C, and E make this a fruit worthy of its status. Shopping tip: You need to squeeze it (very gently because otherwise the fruit stall uncle’s going to yell at you) and a ripe mango will give way slightly. If it’s hard, it’s probably not ripe enough for consumption. Sniff at the stem end and if the scent screams “mango”, it’s ready to be devoured. 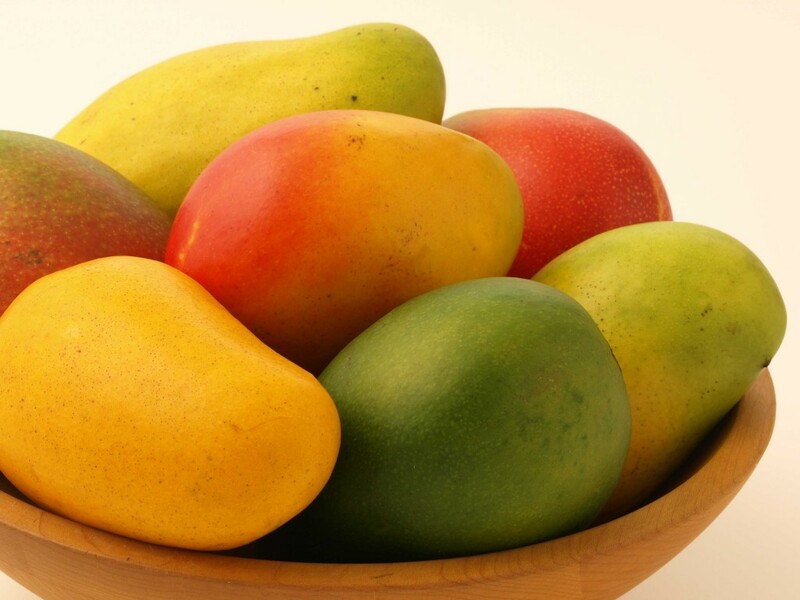 As for unripe mangoes, they’re not going to ripen if you store them in the fridge, so room temperature’s best. 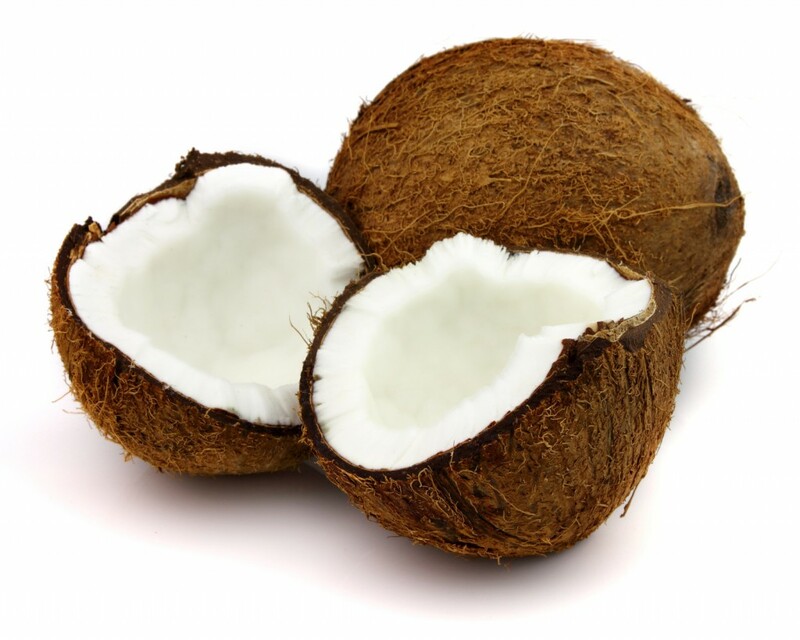 Practically every bit of the amazing coconut can be used in some part of your daily life. The oil can be used for cooking (and beauty), the juice for quenching your thirst, the meat for eating, and the shell for decor. Coconut water has been found to be beneficial for urinary problems (by facilitating a quick urinary passage). The flesh is easily digestible, contains vitamin E, lauric acid, monounsaturated oleic acid, and has superior antigenotoxic activity (limits the effects of genotoxin, a toxic agent which damages DNA molecules). It does not contain cholesterol but provides dietary fiber (for an easier time on the toilet). Shopping tip: Choose uncracked ones and shake them. If you hear water sloshing inside, that’s good (it means you get a drink). Pear-shaped and rather large (with some growing as long as 50cm), these orange fruits contain the enzyme papain that helps to digest proteins. 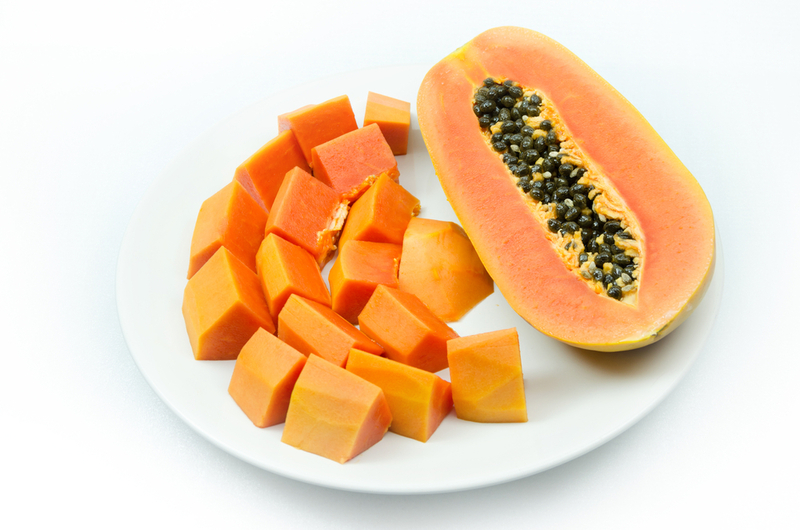 Rich in antioxidant nutrients like carotenes, vitamin C and flavonoids, papayas also provide dietary fibre, vitamins E, A, and K.
PS: While these are super fruits and awfully healthy, some of them are also rather high in sugar content. 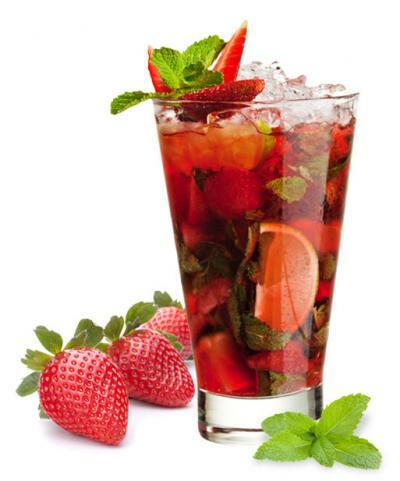 Like all things good, these fruits need to be enjoyed in moderation as well! Iron carries oxygen from our lungs throughout our bodies. Iron also helps our muscles store and use oxygen. A mineral which supports your bone and teeth structure and function. The key nutrient your body uses to control your blood pressure and blood volume. However, do take note that there’s a recommended daily intake limit (2,400mg). Your body needs potassium to build proteins, break down and use carbs, build muscle, maintain normal body growth and more. Needed for the growth and repair of tissues in all parts of your body. It is an antioxidant that fights some of the damage caused by free radicals (which play a role a cancer, heart diseases and conditions like arthritis). Helps to form and maintain healthy skin, teeth, skeletal and soft tissue, mucus membranes and skin. It also produces the pigments in the retina of your eye. It promotes good vision, especially in low light. These good guys help process your body uses and make energy from the food you eat. They also help form red blood cells. Helps your immune system and metabolic processes function properly. This vitamin makes proteins for healthy bones and tissues. It also makes protein for blood clotting. Lack of vitamin K may make you bleed too much. Yellow, orange and red pigmented compounds found in plants, some of which can be converted to vitamin A. A mineral that your body needs in larger amounts (macrominerals) which helps to maintain normal nerve and muscle function, support a healthy immune system, keep your heart beat steady, and help your bones remain strong. A saturated fat common found in vegetables. Lauric acid is used for treating viral infections including the flu, common colds, cold sores, genital herpes, genital warts, swine flu, and avian flu. This is one of those good fatty acids that lower your fasting glucose and insulin levels and enhance your blood flow (which is great for diabetes-control). Very small amounts of zinc are needed for your heart. Zinc helps to boost the immune system, treat the common cold and recurrent ear infections, as well as prevent lower respiratory infections. It’s also used for malaria and other diseases caused by parasites. This mineral plays an important role in how your body uses carbs and fats. Your body needs phosphorus to make protein for growth, maintenance, and repair of cells and tissues. Fibre helps your body prevent heart disease, diabetes, weight-gain, and some cancers, while improving your digestive health. Mineral essential for a body to function properly. It is used for weak bones (osteoporosis), tired blood (anemia), and PMS (premenstrual syndrome). Which is your favourite local fruit? Where’s your favourite place to get them fresh and juicy? Let us know in the comments below or on our Facebook page!